Malarmey Vase ... but which Malarmey? I hope this is the right place to ask the following question. 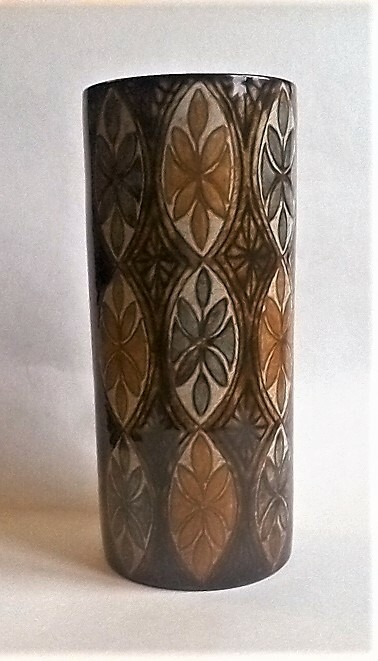 I have been under the impression that this French vase was made by Jean-Claude Malarmey. But now I am not so confident ... could it be his ... or might it be by his wife? Is there anyone here who can tell me who made it? 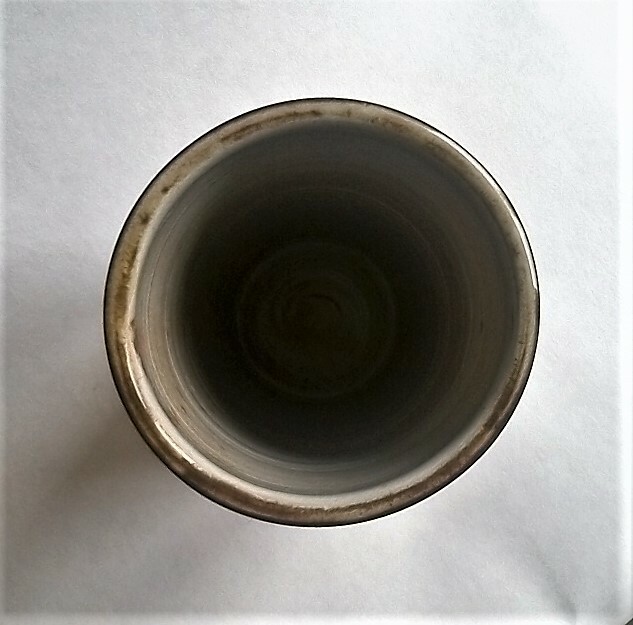 It stands 24cm/9.5" high, with a diameter of 10cm/4". 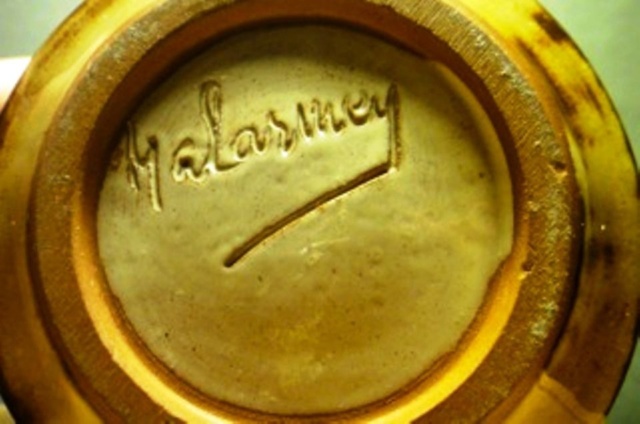 It is marked at the base 'MALARMEY'. Re: Malarmey Vase ... but which Malarmey? 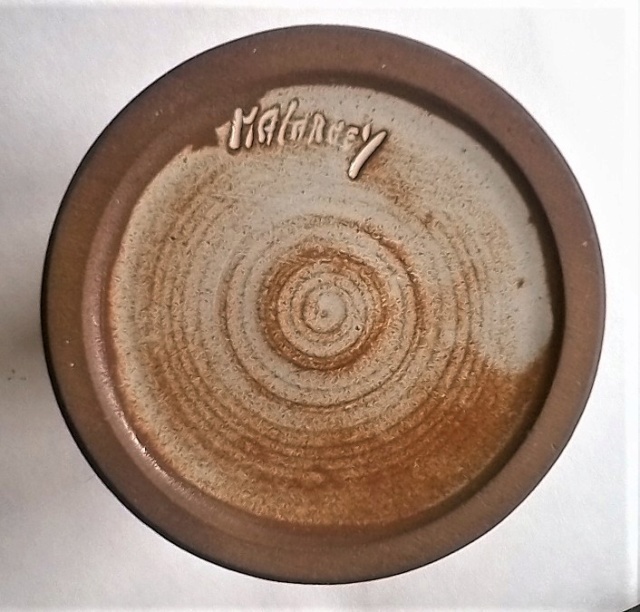 It certainly looks like his style of pottery but not his signature. Either the attributions are wrong, or they both have very similar hands (I note the M and the Y seem to be the same in all three marks). 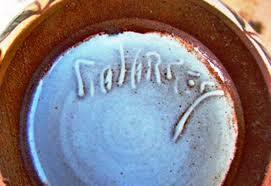 But, other marks attributed to him appear to be upper and lowercase writing ... which implies that my vase is not by him! 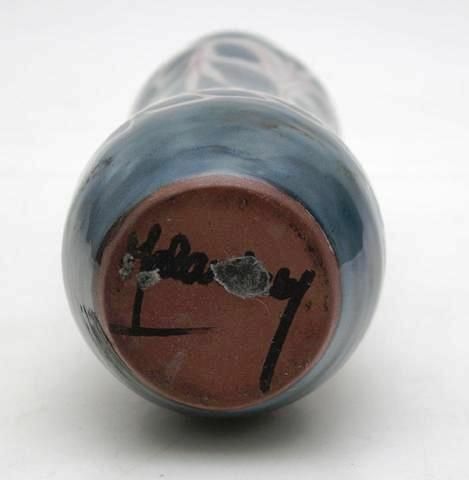 As to whether it is a Vallauris ceramic, I have no way of knowing.